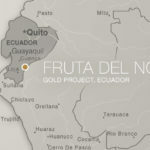 BHP is strengthening its exposure to South American copper by increasing a stake in Ecuador-focused SolGold. The £45 million ($83 million) deal will lift BHP’s interest in SolGold from 6 per cent to 11.2 per cent. 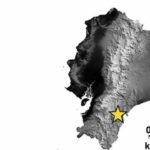 Brisbane-based, dual-listed SolGold is the majority owner and operator of the Cascabel porphyry copper-gold project in Ecuador. BHP acquired the initial 6 per cent stake in SolGold last month, buying the interest from Guyana Goldfields for £27.42 million at 26.6 pence per share. It will pay 45 pence per SolGold share for the latest investment, a 32 per cent premium on the company’s 20-day volume weighted average price on the London Stock Exchange (LSE). The investment closes the gap between BHP and Solgold’s largest shareholder, Australia’s Newcrest Mining, which holds 14.5 per cent of the company. BHP president minerals Americas Danny Malchuk said Ecuador was a highly prospective region for the next generation of copper supply. “This additional investment in SolGold strengthens our strategic position in the Cascabel copper exploration project, and is consistent with BHP’s strategy to replenish our copper resource base and grow the business,” Malchuk said. 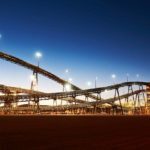 BHP has the right to nominate one director to SolGold’s board through the deal, which is expected to be completed on October 19. 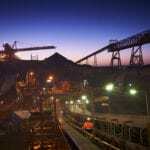 The company also stated that it had agreed with Solgold not to acquire any more of its shares for the next two years.